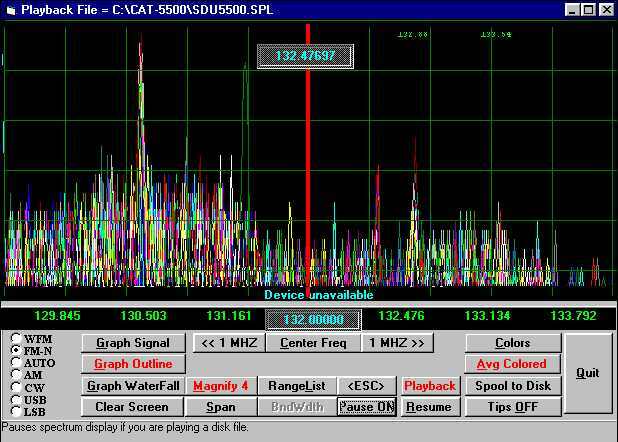 Any radio that has a 10.7 IF output will give you full computer controllable spectrum analysis. Plus, with the below radios, you can have a complete computerized control of receive frequency, direct frequency readout, and a spectrum bandwidth (variable from 500KHZ to 10 MHZ). Just use your mouse to 'arm chair' the controls. Never touch the radio once the software is running. 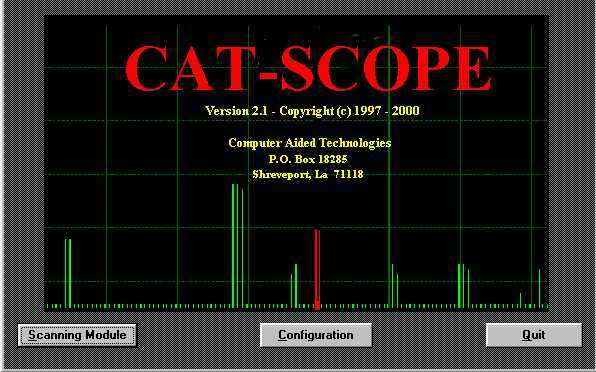 Instant Readout of Frequency any place on the PC's Display. Automatic Scanning of programmable ranges (up to 100 available) *. 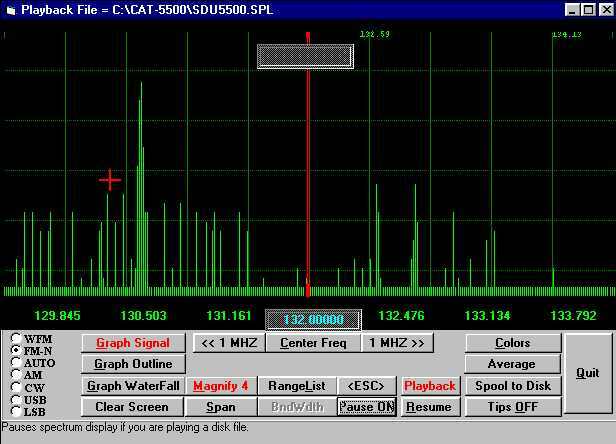 Selectable Audio Alert of frequency signal peaks. 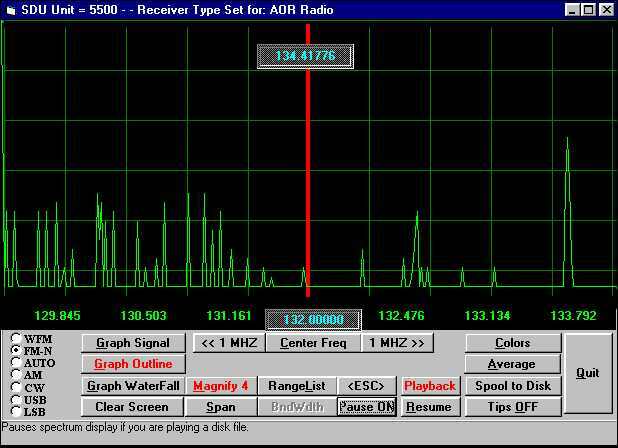 Recording of incoming Spectrum data to disk . 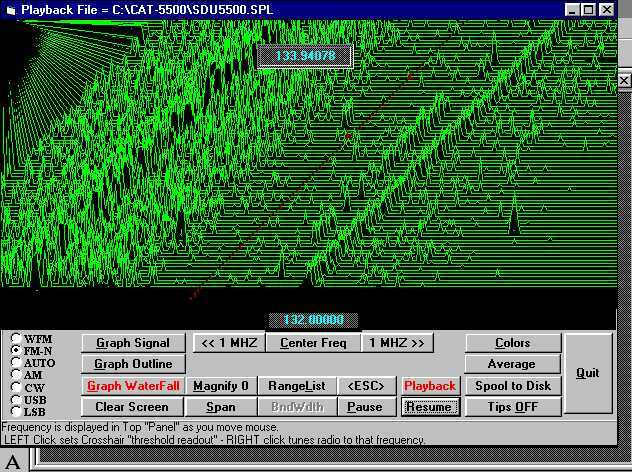 Playback of Recorded Spectrum data from disk. Even without connecting the Radio/SDU ! ! Signal Averaging, PLUS our exclusive "VARI-COLOR" Analysis. More than FOUR different graphical analysis modes for detailed analysis. 1. By Signal strength single color. 2. By Signal strength Averaged. 3. By Signal strength Multi Color. 4. By Signal strength (3-D Landscape). You have to see it in operation to believe how spectacular it really is! Will this work with Windows 2000? A radio with 10.7 MHZ "IF" output.